The Jack in the Box quilt block pattern is an old and well established block. It is easy to construct and features large flying geese units and half square triangles. 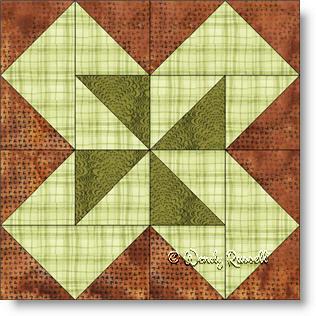 This is a wonderful four patch quilt block for beginners to get started in this addictive hobby. The sample quilt layouts illustrated show the quilt blocks laid out in standard settings -- either in a straight set, or on point.